Quantitative strategies suffered in 2018 mainly due to volatility spikes. Robustness of strategy performance to predatory algo action is becoming a major concern. In the last few years equity market volatility has remained overall at very low levels as compared to the past. Equity market neutral strategies that benefited from that may face drawdown when volatility increases. Price action was relatively smooth in 2017 and that was maybe the bait for many quantitative funds that emerged. But see what happened in 2018: three volatility spikes were caused by quick price declines in February, October and December. These spikes were enough to negatively affect the performance of many quant hedge funds. Some of these funds are trying now to redefine their objectives and start fresh by focusing again on sound practices and strategy development coupled with market experience rather than relying on academic approaches that lack market insight. However, this type of transition will be both costly and painful and some funds may not survive. Below are some simple examples to see the impact of market action in 2018 on performance. The monthly data returns shown below are for the famous RSI2 mean-reversion strategy in SPY with entry for RSI(2) < 10 and exit for RSI(2) > 70. The strategy got hit in February, October and December for a return of -8.4% in 2018 before commissions. Our equity long/short strategy with Dow 30 stocks and up to 30 positions maximum, developed with DLPAL LS features, did relatively well through the February and October corrections but lost 4.9% in December for a net return of 6.4% before commissions. In fact, this strategy is still trying to recapture the 2018 performance highs with 4.2% return year-to-date before commissions. Below is the equity curve since 2008 for the strategy. Note how the strategy performed well in 2008 and 2011 with 10.7% and 6.4% returns before commissions, respectively, but was hit with its largest drawdown level of about -9% in 2018. Still this strategy behaved better than many mean-reversion long-short and momentum strategies we have tested. One strategy that was not affected by December 2018 price action is our long-only mean-reversion strategy in Dow 30 stocks with 13.5% in 2018 after commissions. Note that the algo used in that strategy is not data-mined but based on a formula from a probability text that describes price action behavior. This is the ability to forecast which forecasts will perform better, or specifically which strategies will perform best in a given year. This is a difficult problem at a higher level. There are some indications but those come only from experience and practice rather than from statistical analysis based on past behavior. 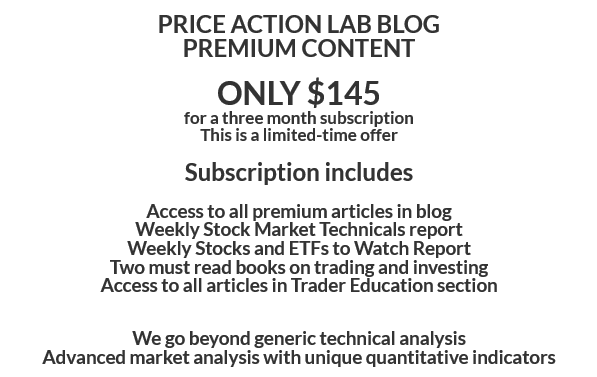 A good basket of strategies combined with some practical analysis of price action may be the best answer to algo predators. The basic quant approach without advanced feature engineering that relies on standard algos found in Python libraries will most probably lead to losses in years ahead because that is the easy although theoretically sound way but markets reward idiosyncratic methods rather than theory. Premium articles subscriptions are available. Click on image for more details.